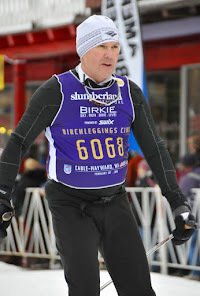 I thought I would start using my Life Trek blog more rather than posting on Facebook. This will also allow my posts here will be referenced on Facebook, Twitter, Google+, and LinkedIn. 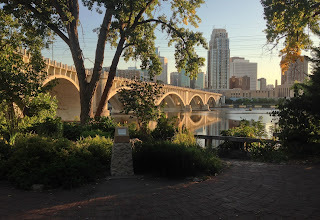 The Dakota Trail continues to play an important role in my bicycling since moving to Minneapolis in December 2011. 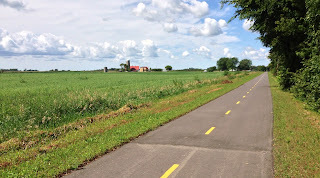 The trail this year was extended another approximately 10K west of Mayer, Minnesota to a west of New Germany, Minnesota. 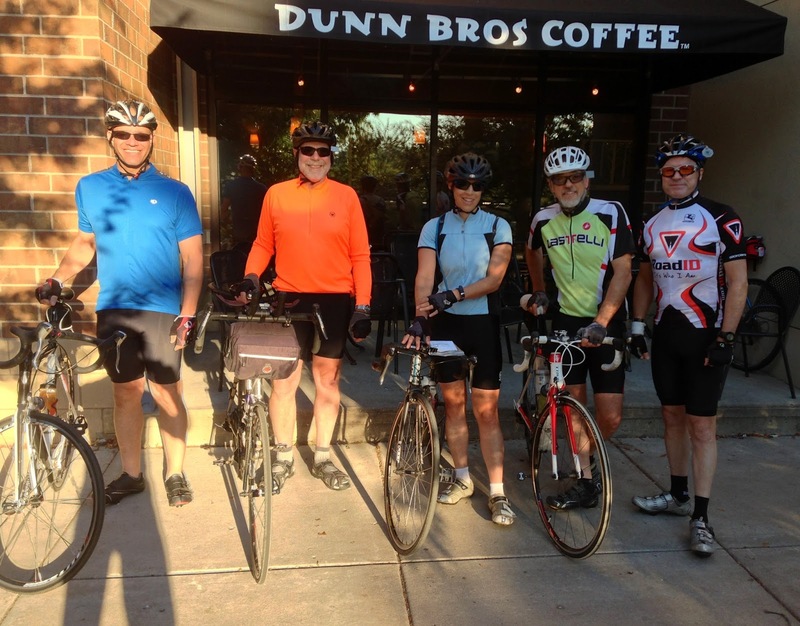 The Twin Cities Bicycling Club (TCBC) Cruisin' The Crow ride comes back to Wayzata on the Dakota Trail for all four routes. 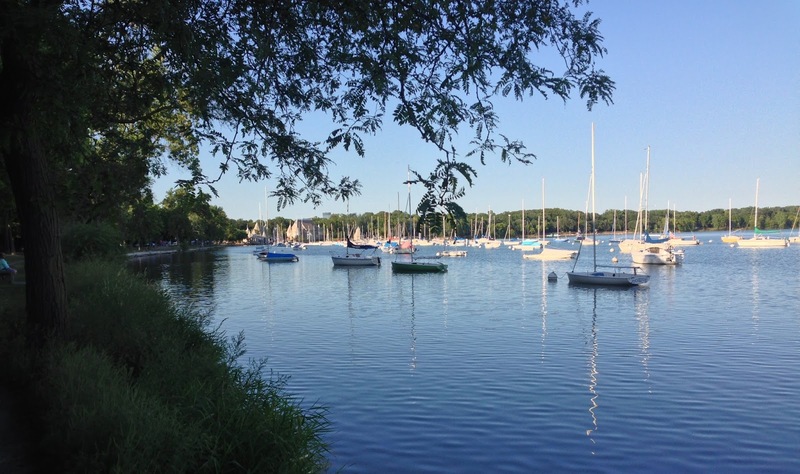 I find it restful and relaxing. 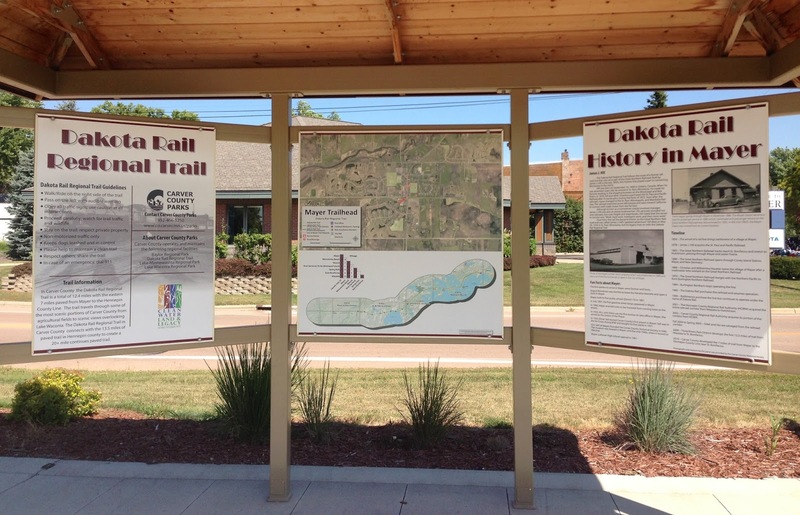 This picture is at the new trail parking lot in Mayer. 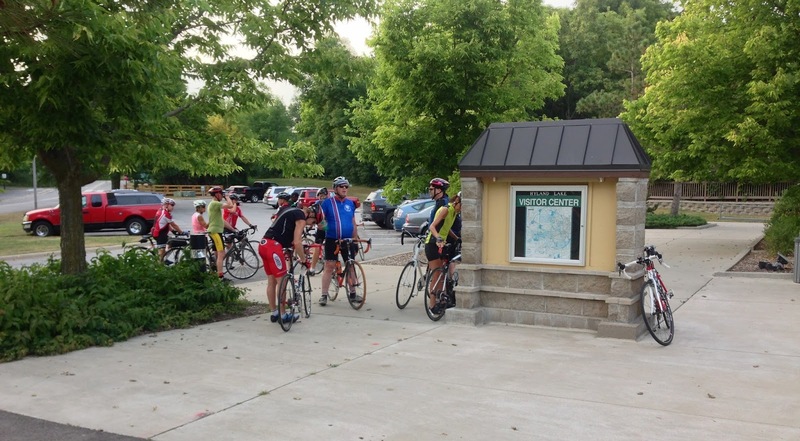 Today was the TCBC All Club ride so no other rides can be posted. 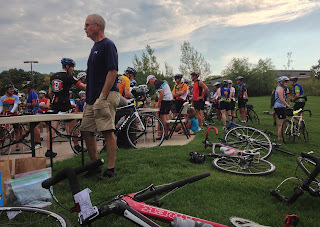 I did ride in the ride to the All Club ride and then the 38 mile route for a total of 100K. 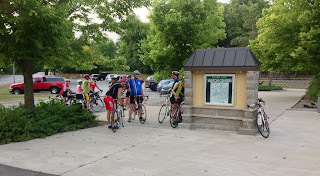 This is a picture of the start of the All Club ride near the Minnetonka City Hall. 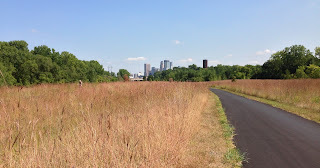 This is a picture of downtown Minneapolis from the Cedar Lake Trail when I was on my way back into town. I lead the TCBC Warehouse Bicycling Group (WBG) Ride to Cruisin' The Crow and then David and I did the 40 mile Cruisin' The Crow ride. The picture is from the start of the WBG Ride to Cruisin' The Crow. Pictured with me are Jeff and Mari. David and Jim were not pictured. 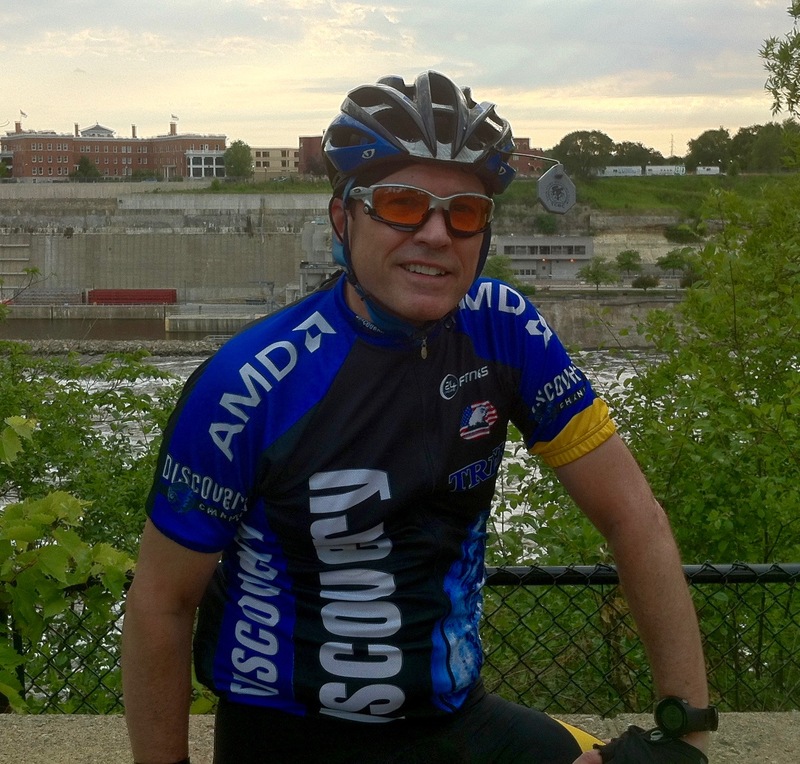 I went out for a nice ride around the Minnesota trails as it was such a beautiful evening and probably the best weather to date. 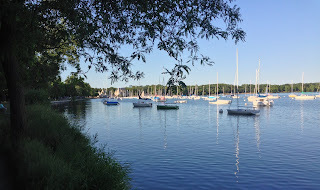 This picture was taken when going around Lake Harriet. 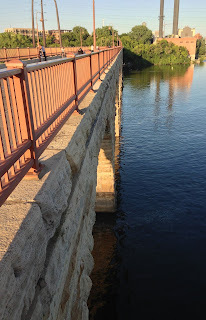 This picture was taken from St. Anthony of the Third Street Bridge. This picture is of the Stone Arch bridge looking north. 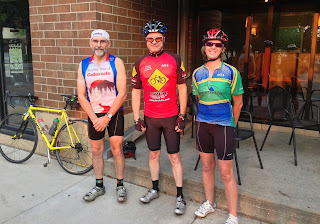 I lead the TCBC Warehouse Bicycling Group (WBG) ride to Cruisin' The Crow and then met Susan in Wayzata where we bicycled to the end of the Dakota Trail and back. 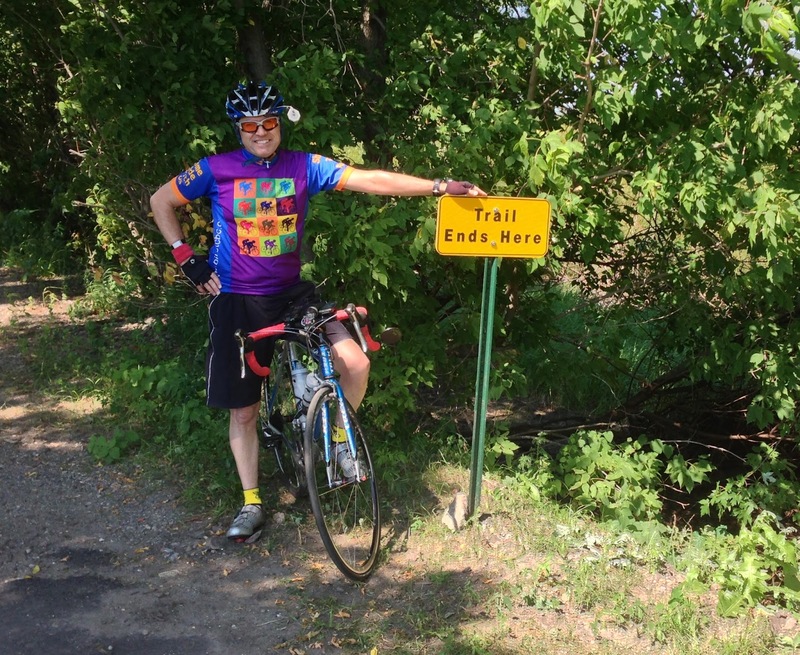 I added a few extra kilometers at the end to finish my fourth statute century of the year. 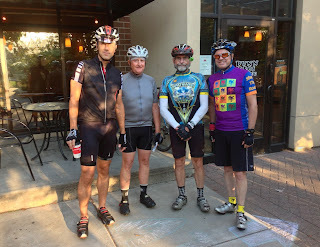 As is the tradition when I lead WBG rides, I have a picture taken of all the riders. Not everyone gets in the picture, either by choice or for running late to join in. 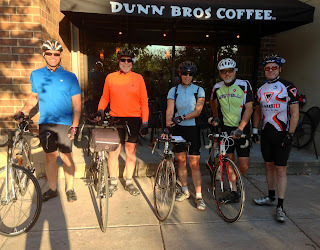 This picture is of Brad, John, Jeff, and myself in front of the Dunn Brothers on Lake Street and the West River Parkway in Minneapolis. Except for the WBG section of the ride, Susan and I took our time with all the sites along the trail, which included a Dog Days Celebration in Mound, Minnesota. We stopped for nearly 45 minutes looking at the dogs, rabbits, and actually a few cats! The rabbits were amazing as I never realized how smart they are. There was an agility test for them jumping over barriers and hoops. This picture is of where the Dakota Trail ends west of New Germany. 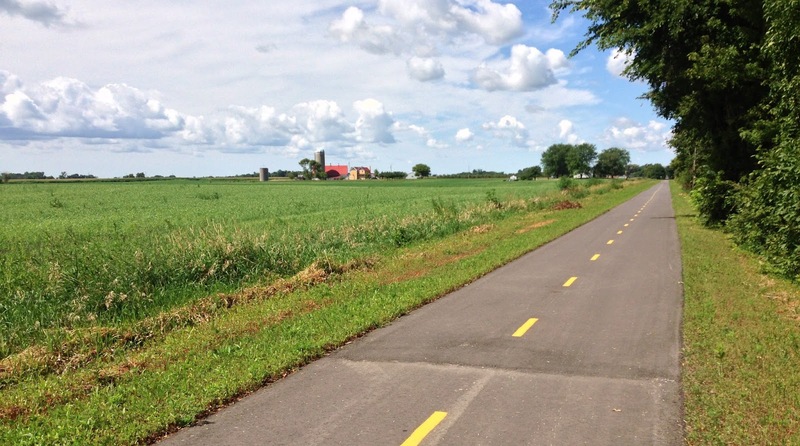 The trail is eventually going to be paved all the way to Hutchinson, Minnesota. The new part is very similar to the trail coming from Wayzata and for the time being is a lot less traveled. 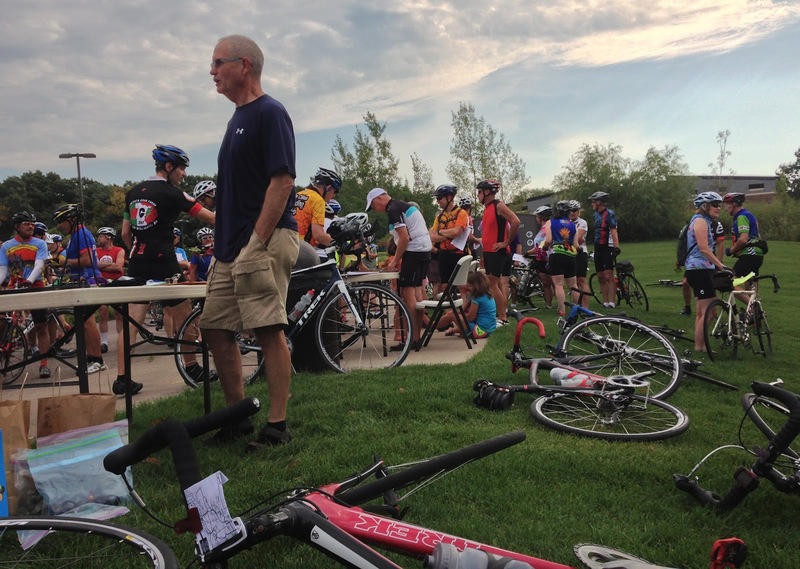 I lead the TCBC Warehouse Bicycling Group (WBG) ride to Cruisin' The Crow and then did the 56 mile Cruisin' The Crow. 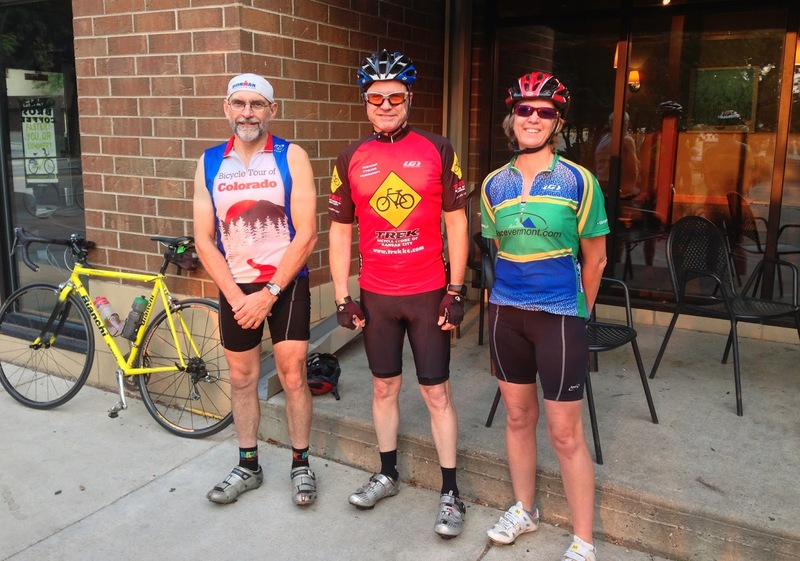 This is a picture of Andre, Ed, Samantha, and David with me at the start of WBG ride to Cruisin' The Crow. This is a picture of part of the new section of the Dakota Trail near New Germany, Minnesota.